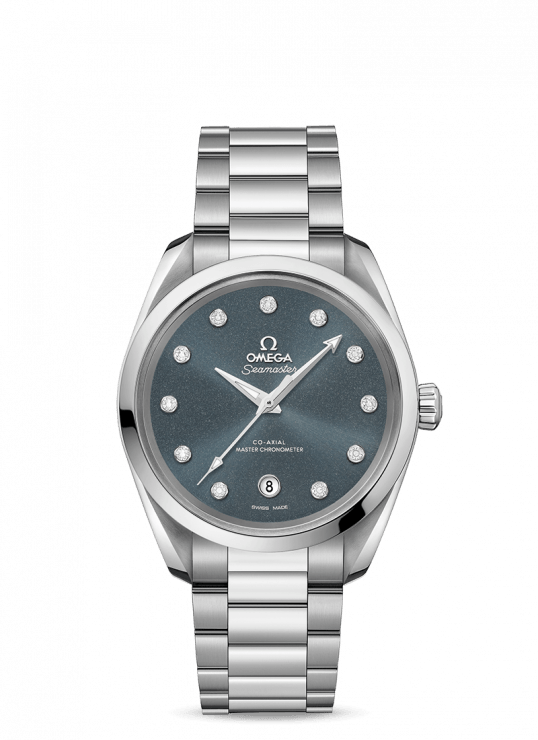 Ladies’ 38 mm Omega Aqua Terra 150M Omega Co-Axial Master Chronometer. With a symmetrical 38 mm case, this stainless steel model features shimmer blue-grey dial with a date window at 6 o’clock and 11 diamond indexes in rhodium-plated holders. 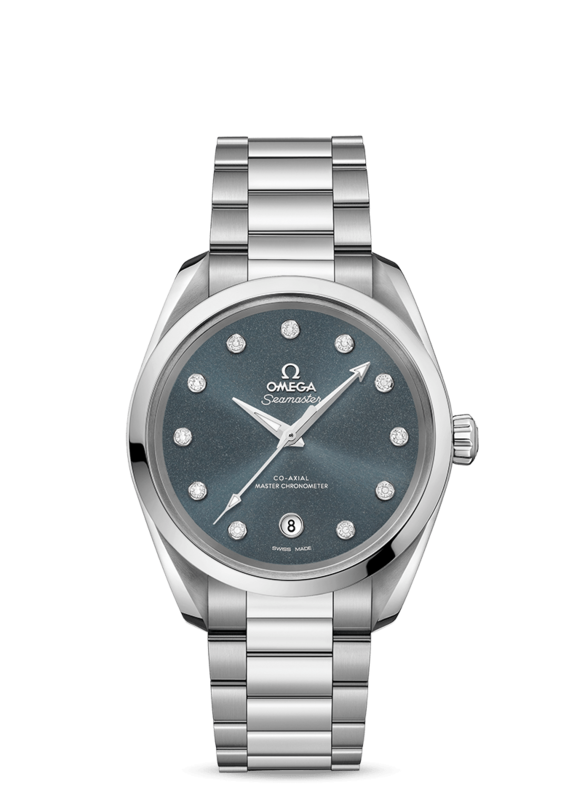 Omega Aqua Terra 38mm Stainless Steel Ladies Watch has been successfully added to your shopping bag.